Ogunleye T: Interview “What Causes Atopic Dermatitis, Anyway?” Self Magazine June 2018. Ogunleye T: Interview “Does Coconut Oil Actually Work Any Magic on Eczema?” Self Magazine June 2018. Ogunleye T: Interview “Here’s Exactly What to Do About Eczema on Your Eyelid” Self Magazine June 2018. Ogunleye T: Interview “Chafing” Prevention Magazine May 2018. Ogunleye T: Interview: “8 Ways to Deal With That Frustrating Hand Eczema.” https://www.self.com/story/hand-eczema-treatment April 2018. 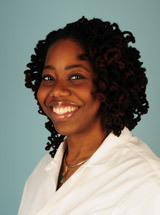 Ogunleye T and Vega C: Interview/Article: “Common and Not-so-Common Rashes in Kids.” https://www.medscape.com/viewarticle/895694 April 2018. Ogunleye T and Vega C: Interview/Article: “What Are These Bumps I See All Over?” https://www.medscape.com/viewarticle/893920 March 2018. Ogunleye T: Interview. “Isotretinoin in Adolescents: The Ethics of Awkward Discussions.” https://www.dermatologyadvisor.com/acne/isotretinoin-methotrexate-acne-treatment-adolescents-ethics/article/745123/ February 2018. Ogunleye T: Interview: “Simple Steps for Softer, Smoother Skin.” https://www.webmd.com/beauty/features/moisturizer-toning-cream#1 January 2018. Ogunleye T and Vega C: Interview/Article: “I Can’t Take This Rash Anymore!” https://www.medscape.com/viewarticle/890421 January 2018.